8/12pcs package with plastic bag then in a carton(according to the size of the Bag Filters),or according to customers requirement..
High dust holding capacity, high efficiency, low pressure drop. 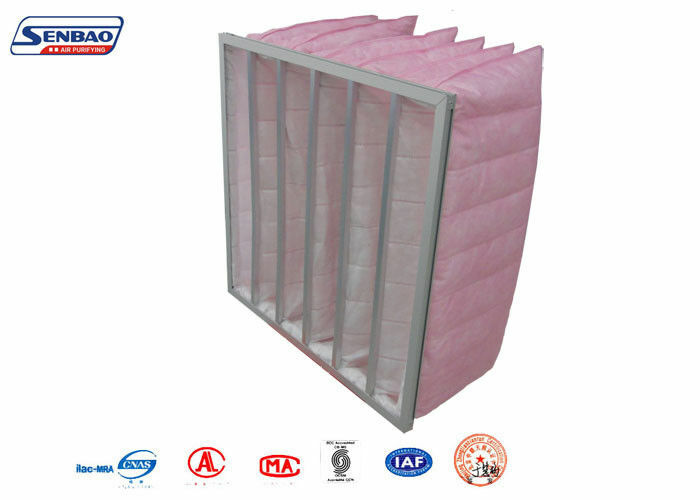 bag air filters for Air conditioning system, AHU, industrial filtration(semi-conductivity, photoelectron, pharmaceutical), painting booth,operating room. Q: How can I place order and get free sample? A: Kindly send us whole enquiry with the efficiency, size and quantities you need, we will feedback to your in 1-2hours in working time (UTC/GMT+08:00). Q: What's the Payment Methods? A: We accept T/T(Telegraphic Transfer), Western Union, also Paypal for samples. A: 30% deposit and 70% before shipment after received the finished products photos. KNOW MORE ABOUT SENBAO AIR FILTER AND OUR PRODUCTS, PLEASE FEEL FREE TO CONTACT WITH US AT ANY TIME.